Middle East Perspectives by Rick Francona: SYRIA: Has Turkey been marginalized and the Americans thrust into the fight? SYRIA: Has Turkey been marginalized and the Americans thrust into the fight? In a remarkably under-reported series of events in northern Syria, the success of the joint Turkish - Free Syrian Army (FSA) Operation Euphrates Shield (Turkish: Fırat Kalkanı Harekâtı, Arabic dara' al-furat) is now more uncertain than ever. The goal of the military campaign is to defeat the forces of the Islamic State in Iraq and Syria (ISIS). 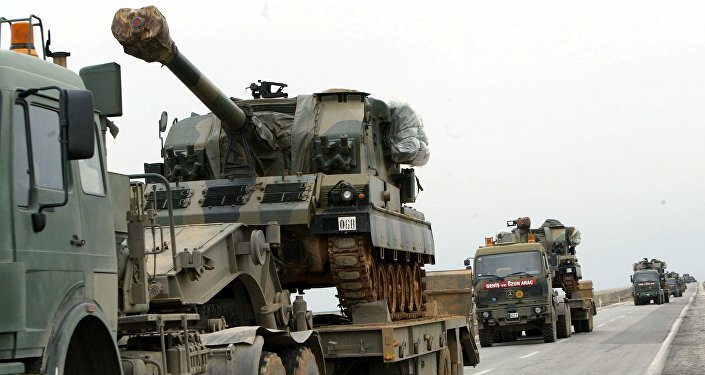 FSA forces supported by Turkish air power, armor, artillery, intelligence and special forces were moving slowly but steadily on their way from the Turkish border towards what is regarded as ISIS's center of gravity - its self-proclaimed capital in the city of al-Raqqah. Just over a week ago, they completely removed ISIS from the key stronghold of al-Bab. This victory was supposed to pave the way for a faster-moving thrust east towards al-Raqqah. ISIS remains the common enemy of the other three combatant groups. In a perfect, sane and rational world, the three other combatants would ally with each other in the fight to defeat ISIS. While all of them are engaged in the fight against the Islamist group, at times they also engage in combat operations against each other. This dilutes the main effort against what many believe is the vilest terrorist organization of our time. At one point, there seemed to be some semblance of a temporary coalition between the Syrian government forces and the FSA, brokered by their two major backers - Russia and Turkey, respectively. That cooperation was short-lived and only worked in a few instances. Given the animosity between the Syrian regime and the FSA, not to mention the Syrian government's contention (with some merit) that the Turkish military forces are in Syria illegally, it was not unexpected. The main point of contention between the three groups fighting ISIS: which group will conduct the eventual and inevitable attack on al-Raqqah? The Syrian armed forces want to retake the city, after all, it is part of Syria. Even with the backing of their Russian, Iranian, Iraqi and Hizballah sponsors, the Syrian military has been unable to concentrate enough force to mount an attack on al-Raqqah. After its successful campaign to regain control of the city of Aleppo from the FSA, Syrian government forces have been focused on consolidating their hold on Aleppo governorate, regaining control (again) of the crossroads city of Palmyra (Tadmur), fighting off a strong ISIS offensive in eastern Homs governorate, attempting to reassert control of the suburbs surrounding the capital of Damascus - along with other smaller, but manpower and resource intensive operations. The Syrian armed forces are spread very thin throughout the south, west and central parts of the country. Without the support of their foreign sponsors, the Syrian Army would cease to be a viable combat organization in short order. 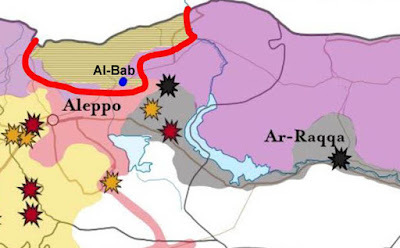 The FSA, with Turkish support, also wants to liberate al-Raqqah from ISIS, expanding the territory under its control after the devastating loss of its main stronghold - the city of Aleppo - to the regime late last year. The Turks are providing support to the FSA for two reasons. 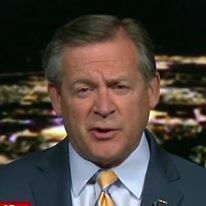 First, they support the removal of the regime of Bashar al-Asad, and second, they want to ensure that there is no semblance of a Kurdish autonomous region along their southern border. If they have to choose between the two, they will opt for the latter. Despite the fact that the Kurdish People's Protection Units (known as the YPG) are arguably the most effective fighting force arrayed against ISIS in Syria, the Turks regard them as nothing more than an extension of the Kurdistan Workers Party (known as the PKK). The PKK has been designated as a terrorist organization by the United States, the European Union and NATO. The YPG is the majority component of the U.S.-backed SDF. It has not been designated as a terrorist organization by anyone but the Turks. The Turks are adamant that no Kurds be involved in the attack on al-Raqqah. Their rationale is that the people of al-Raqqah, overwhelmingly Arabs - will be trading one oppressor for another. I disagree - my reading of what little information that is available from the tightly-controlled city is that they have suffered terribly under strict Islamist ISIS governance and would welcome any relief, be it Kurd, Turk or Arab. The United States and the recently-inaugurated Trump Administration is now formulating its policy on how to fight ISIS in Syria. I believe the U.S. military planners - looking at the situation map - believe that backing an SDF-led assault on the city is the best option. Although an FSA operation might be more palatable to the residents, time and distance mitigate that option. The lead elements of the SDF are a mere five miles from the outskirts of al-Raqqah and in the process of isolating the city on the west, north and east - the south is bounded by the Euphrates River, and both bridges have been destroyed by U.S. airstrikes. In contrast, the Turkish-backed FSA is almost 100 miles away, having just secured al-Bab. The situation has changed dramatically in just the last week. As Turkish/FSA forces were securing al-Bab and preparing to continue their march east through YPG-controlled territory toward the city of Manbij, they began militarily engaging the YPG. Here again, we had two groups opposing ISIS fighting each other, rather than their common foe. 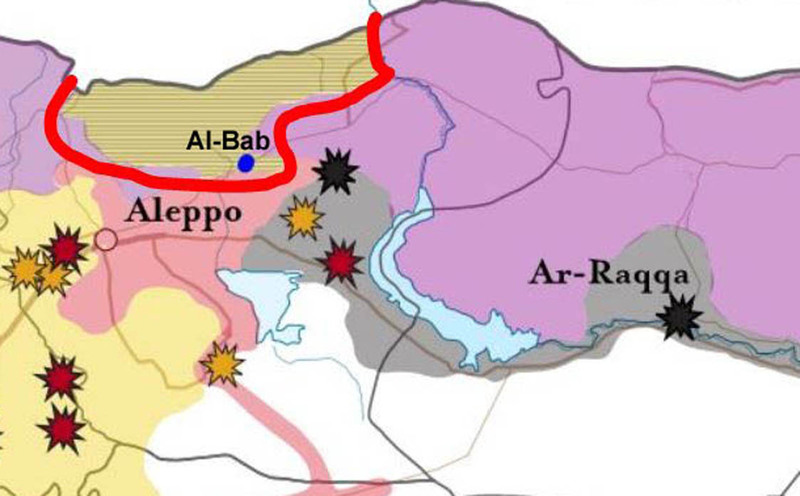 In a rather stunning move, the SDF/YPG made an arrangement with the Syrian regime forces to allow the Syrian Army to move into the city of Manbij (movement indicated by the black arrow), thereby completely cutting off the Turkish/FSA route of march to the east toward Manbij and then al-Raqqah. As a result, there is now a combined Syrian Army and SDF/YPG blocking force in front of the FSA, confining them to a pocket north of al-Bab and west of Manbij, essentially removing them from the offensive against al-Raqqah. 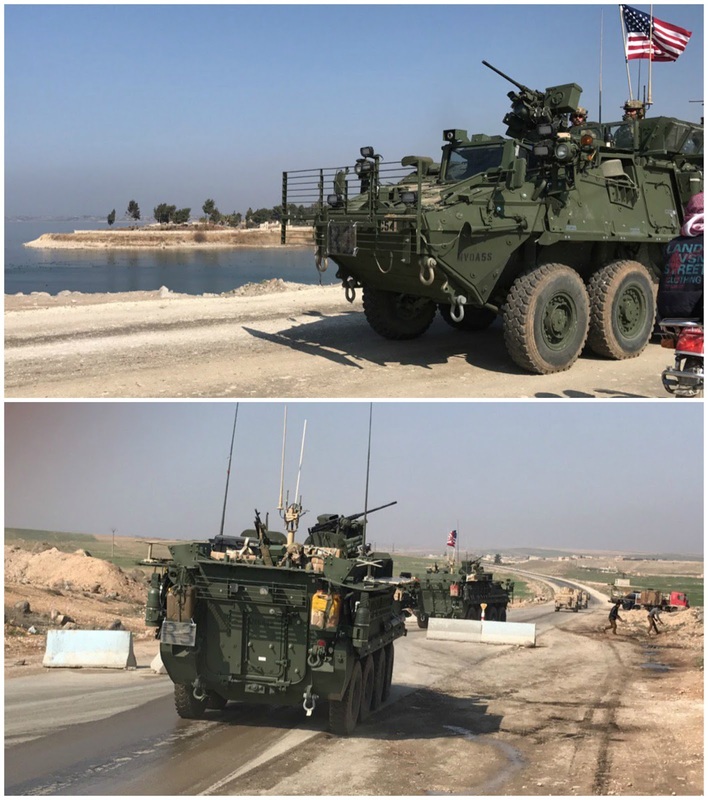 The two photos of the U.S. Army Stryker infantry combat vehicles, one flying the U.S. standard, and Humvees have been geolocated to the Manbij area of northern Syria, the same area the Kurds have allowed Syrian Army units to enter. The video clip was taken along the main highway in the Manbij region. Confusing? Yes - it raises a whole host of questions. What is the position of the United States on their allies' seeming coordination with the Syrian regime to allow Syrian army forces into Manbij? Are American forces in proximity to Syrian Army units - and their Russian advisers, as well as their Iranian, Iraqi and Hizballah fighters? Was the United States consulted before this cooperative operation was launched? What is the role of the Russians? Are the Russians now on the ground with the SDF? Who is providing coordination and deconfliction between the parties? What of the Turks? Are they going to engage the Syrian Army and SDF/YPG and force their way back into a position to continue their attack towards al-Raqqah? It appears to me that the United States has decided its strategy: the Americans will provide increased support to the Kurds, over the objections of the Turks. If what I believe is true, the United States will proceed with the Kurdish option to liberate al-Raqqah from ISIS. This will require the introduction of many more American forces than we have there now. The SDF does not have the firepower, the heavy weaponry needed to dislodge entrenched, committed and prepared ISIS fighters from al-Raqqah. They will need much more assistance - the U.S. troops in the photos and video shown on Arabic media likely represent the vanguard of that effort. If the Iraqis' experience in their campaign to retake Mosul is any indication, the fight for al-Raqqah will be long and bloody. I suspect that before this is all over, many more young Americans are going to be in the fight.